Though the tabloids would have you believe Tom Cruise—with his endless stream of failed on-set romances, fraught relationship with daughter Suri, and unbreakable commitment to a cult—lives a dreary, lonely life, the man refuses to let any alleged personal troubles derail his decades-long career. 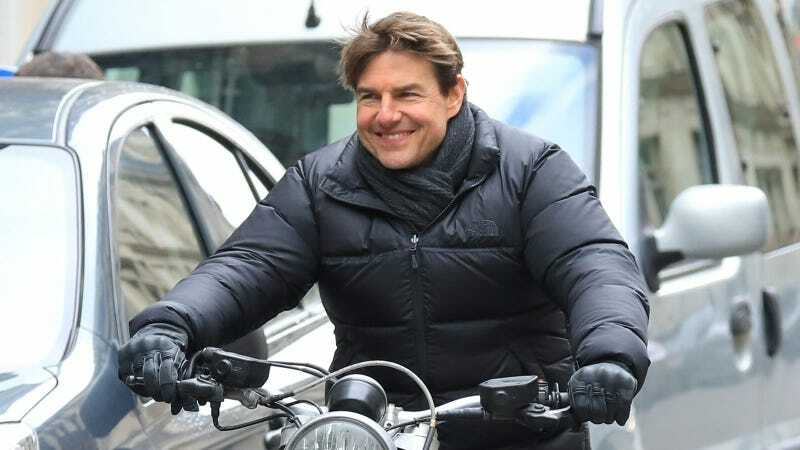 In fact, a series of photos from the set of Mission: Impossible 6 suggest he is at his happiest and most carefree when filming a stunt-filled action movie. Maybe that’s why he’s made so many of them! Nicole Kidman on Marriage to Tom Cruise: "I Look Back Now and I’m Like, &apos;What?&apos;"